Because we already told you about the country's best beaches, and its best small towns, the next logical step seemed obvious: America's best small beach towns (as in, small towns with beaches; not small beaches with towns). Here are 14 of the country's finest. A close second for Florida's new state nickname was "The Condo State." 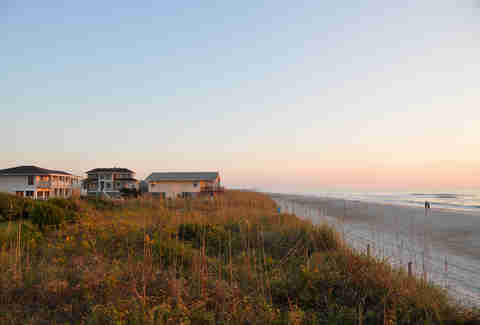 As in big, ugly, towering condos, exactly none of which you’ll find on this pristine Old Florida beach island. No, there are nothing but bungalows, Cracker Farmhouses, and charming Floridian architecture on TripAdvisor’s third-highest-ranked island in America. Also, two of the best burger joints in the state -- Skinny’s and Duffy’s. When discussing Pacific Northwest beach towns, Seaside, OR, is the name that typically tops the list. But it wouldn't be very Oregon of us to tell you about a place that’s totally mainstream. So instead we're going with Seaside’s cool little neighbor, Cannon Beach, which's chocked-full art galleries, seafood joints, and even a distillery. 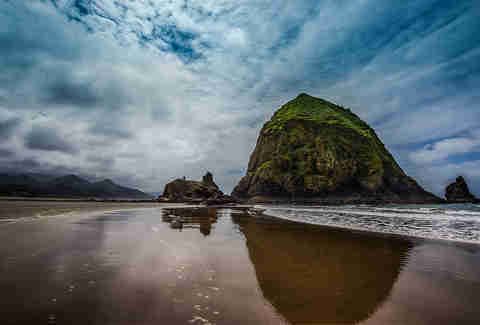 Its most famous attraction though is Haystack Rock -- aka that rock you saw in Goonies and the final scene of Point Break where Johnny Utah said "Vaya Con Dios" to Bodhi. Nowhere in the country did the plague that is reality television hit harder than on the Jersey Shore. 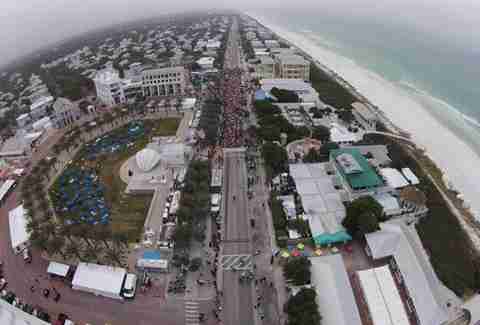 What was once a collection of quaint beach towns is now thought of worldwide as a Mecca for GTL and fist pumping. 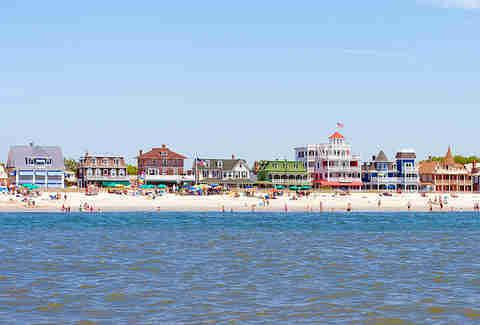 Fortunately, those who’ve been there know about places like Cape May, where visitors enjoy calm ocean breezes, historic Victorian homes, and the comforting knowledge that they are as far away geographically from New York City as any point in New Jersey. If you wanna be the most basic tourist in history, walk around this town on the bent arm of Cape Cod repeating the line, “We’re gonna need a bigger boat.” Ok, so no, it’s not technically the setting for Jaws, but this upscale commercial fishing town on the Cape is a summer home of the great white shark. 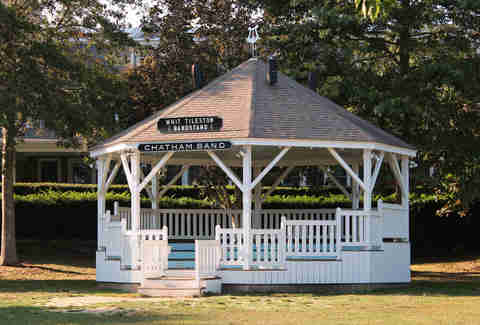 It's also only a short drive to the Cape Cod National Seashore, the Truro Vinyards, and Provincetown -- Massachusetts’ summertime answer to Key West. While most people associate Alabama with folks who take college football aliiiiiiiiiittle too seriously, the Gulf Coast beaches might be the state’s most underrated draw. 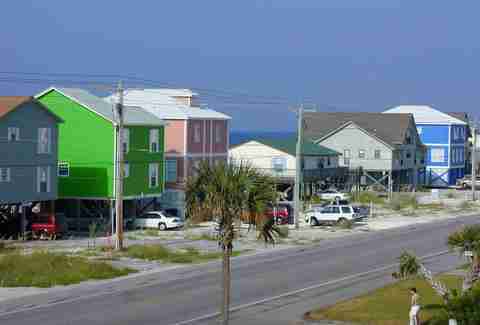 And the best of the bunch is Gulf Shores, known for its bright pastel houses and annual Hangout Music Festival, which attracts rock-and-roll fans from all over the South (did somebody say Freeeeebirrrrd!?!?). If the music isn't your jam, visit the Bon Secor National Wildlife refuge or plan your stay during the annual National Shrimp Festival. Ok, so you MIGHT encounter a Marine or 12 if you venture over to this little beach town on the southeastern side of Oahu. 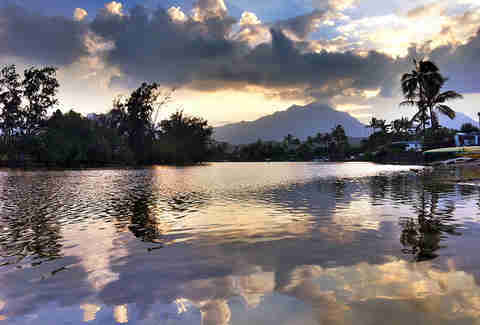 In what doubles as the nicest military base town in America, Kailua boasts one of the calmest turquoise beaches in the islands, and is a perfect alternative to nearby (and tourist-saturated) Waikiki. It's also home to Teddy’s Burger, aka one of the 33 best burgers in America. Some might argue Laguna should be banned from this list for introducing the world to Lauren Conrad. 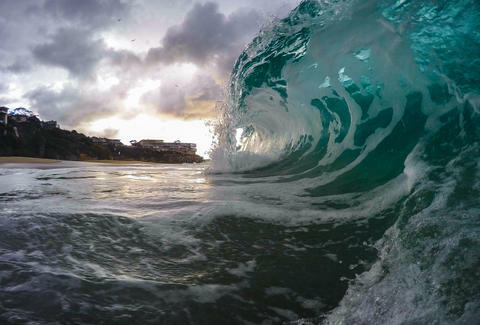 But if you can look past the LC-and-Kristin-Cavalleri drama, this is Southern California’s most picturesque beach town, a one-time artists’ colony that now houses high-end restaurants and lounges, in between art galleries and other stores full of stuff only teenagers who work in surf stores can afford. Unlike its beach-brother Florida, California has managed to NOT develop its entire coastline, leaving the central coast between LA and San Francisco as one of the most spectacular stretches of sand in the world. 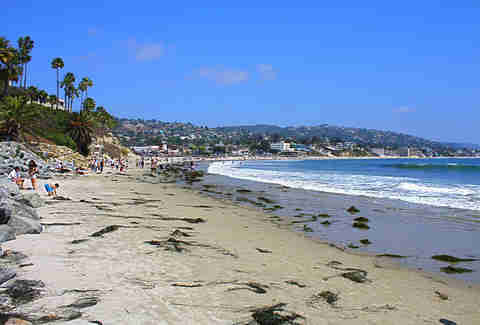 The best place to stop along the Pacific Coast Highway? 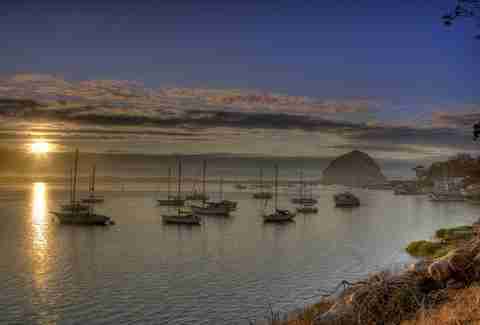 Morro Bay, where you can take in Morro Rock (aka America’s Gibraltar) or stay at one of the five-star resorts overlooking the ocean. If staring at the sunset gets old, wine country and the Hearst Castle are less than an hour away. While not a Jersey Shore destination where you go to "drink" or "party," Ocean Grove is easily the most eye-catching beach town in the state. Why? 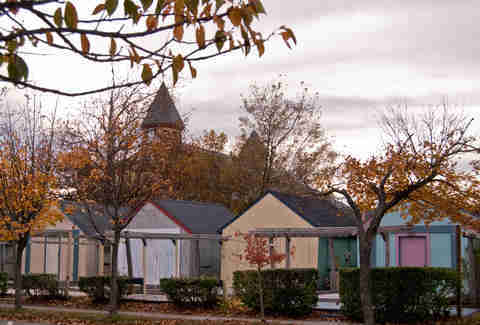 Because of the pretty pastel canopies that jut out from the cottages in the town's Tent City. Every summer, hundreds of people spend up to $5,000 for four months of cozy, down-the-shore living in one of these canvas beauties. 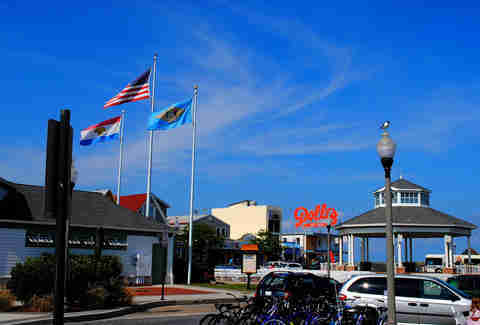 If they made a movie set for “Beach Town, Northeast United States," it would probably look something like Rehoboth. A boardwalk right along the ocean, saltwater taffy, a 50-year-old amusement park, tons of seagull crap, you get the idea. And, most notably, the Dogfish Head Brewery, which is fast supplanting the actual beach itself as the main attraction in the city. Just a short drive from the former foreclosure capital of the world (raise up, Fort Myers!) 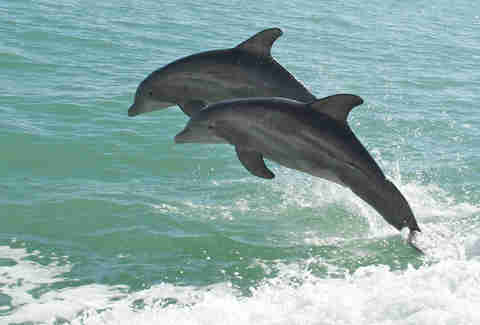 Sanibel is known to Floridians as THE beach to go to for spectacular sunsets and quiet relaxation. So much so that it missed our list of Florida’s most popular beaches pretty much because the editor didn’t want anyone else going there. 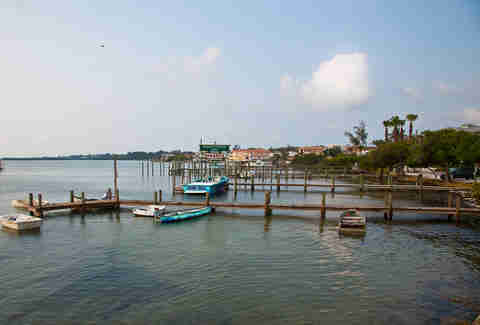 Well, the “secret” is out -- this tiny island known for its shelling and seafood might be the top weekend destination for Sunshine State residents eager to do something other than theme parks/cocaine. People like to talk about places that have “character,” like that character is something you'll absolutely love. And while most of the towns on this list have a certain, old-world charm, Seaside is instead perhaps the cleanest, most new-world charming beach town in America. How annoyingly clean and modern you ask? Ever see The Truman Show, that movie where Jim Carey’s whole world is a TV soundstage? It was filmed here. Not only is Traverse City one of the best small beer cities in America, it's also the hub of Michigan’s burgeoning wine country, one of the most under-the-radar wine regions in the world. 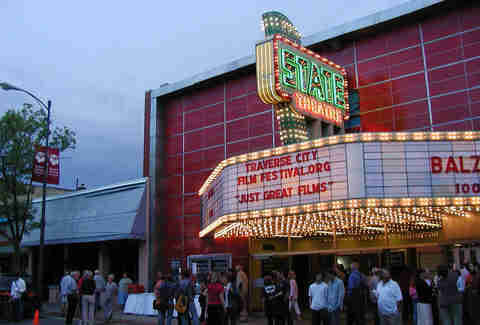 The State Theater hosts Michigan's largest film festival (put on by one of its largest residents, Michael Moore), and the city sits right on Grand Traverse Bay, with stunning views clear across to the other side. And in case you’re in the mood to visit Michigan’s oldest restaurant or one of the best beer bars in America (and you should be), those are there too. Picking the best beach city in North Carolina is kinda like trying to pick the most annoying fan at Duke -- it's an impossible task. But if we had to pick, it’d be this kid in the body paint/army helmet and Wrightsville Beach, the skinny little town next to Wilmington. The ultra-wide, fine sand beaches are lined with stilt houses, and if you’re lucky enough to own a boat (or really just know someone with a boat) you can head up the ICW to Masonboro for an afternoon of day drinking.